One of the things I noticed very early on was how complicated it was for merchants to accept feathercoin for goods, others on the forum wrote a guide on how to do it but it all seemed very long winded and a little too complicated to me, this coupled with going to a few meet-ups at the Oxford Blue and watching the bar staff have to deal with a laptop on the bar to allow us to pay with our favourite crypto currency. The cogs started to turn as they do and this is what I have come up with. 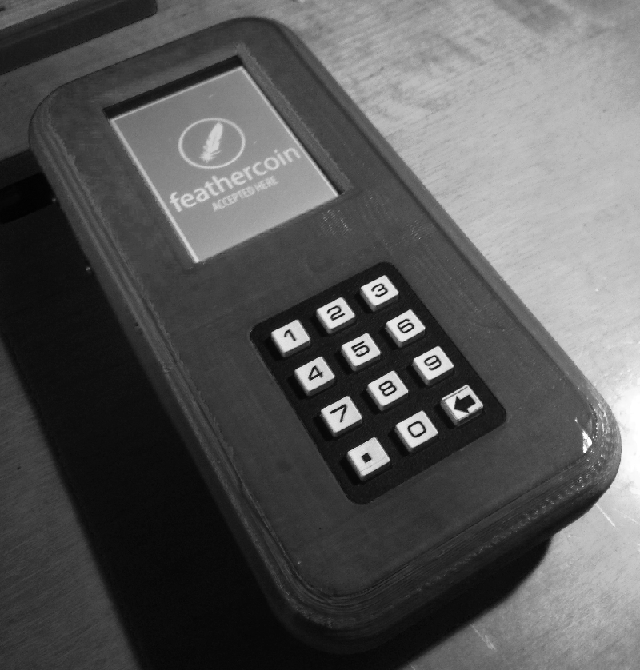 A simple and easy to use handheld payment terminal that merchants can use to take payments via feathercoin for any goods or services that they sell or deliver, how easy would it be for these people to accept feathercoin if all the technology was wrapped in a simple handle held device? Exactly the same as operating in WiFi mode, but with the added advantage of not needing the WiFi connection. 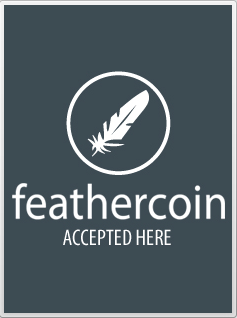 Opening up a greater choice of locations for feathercoin merchants. Aimed more at the market trader, street vender type of merchant. Prior to the trading day, the merchant can obtain the current exchange rate and this is saved to the device, when the trading day is finished the unit is connected to WiFi and all transactions throughout the day are processed. It goes without saying that step 4 from above does not work in this mode as there is no network connection to obtain the confirms against the payment address from. Again aimed at the market trader and street vendor type of merchant. Input into the payment terminal is via both a touch screen display and the small number pad, for most actions you tap the buttons on the touch screen and for transaction values you input the value using the number pad. 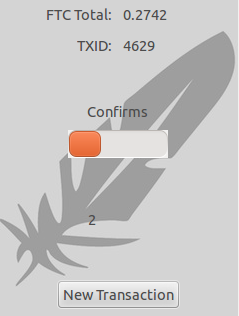 The "New Transaction" button simply stops the background confirm checking process and returns the terminal to the "feathercoin ACCEPTED HERE" screen, ready to start the process again for the next customer. I’ll be back around later to let you know what work is left to be done and answer nay questions/comments. You are a ftc diety. I remember getting a tiny preview at the one year birthday meet up. Looks great muddy well done. Cheers for the comments guys glad you like the work thats going on. Yes yes yes! This is exactly what we need! I’ve been unable to suggest businesses take on FTC because of the payment processes. Super excited! Point of Sales device “Featherpay” - I like this very much, well done. 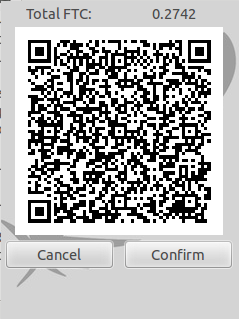 Re: Featherpay : Point of Sale device POS & software system. - I’ve added [Dev] to the title and have pinned this important project. I have no experience of NF integration, but I am more than happy to start looking into it once I have the current version working as It should. But will openly admit that at this time it is not something that is high on the priority list as most devices with NF built in also have a camera that can be used for scanning QR Codes to complete the transactions. I have managed to get another dev involved with the work that is needed to complete this project and get it moving again after a small stall due to work commitments, I will be shipping development hardware over to them within the next week so hope that can give it another kick start. There are still two little but fundamental bugs out standing that I’m hoping to get some time on next week to try and resolve. Someone asked if this could be used by other coins? The simple answer is yes! there is no reason why this complete setup can’t be used with any coin that has a similar wallet setup to feathercoind as fundamentally that is all that is running in the background to deal with transactions, they will also require a similar setup to api.feathercoin.com as this is used to gain the current price and the number of confirms reported by the blockchain for a payment address. I’ll keep plugging away at it and update you with progress, but dev time is going to be limited over the next couple of weeks due to other commitments and needing to pay some bills. This is, what I believe, to be ftc’s greatest asset. I think it is one of the things that’s truly setting us aside from 99% of the other coins. Question: Do they manually have to check FTC price, or is all the info coming straight into the device? 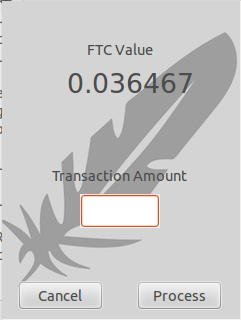 Price is retrieved real time from api.feathercoin.com at the start of every transaction. Just had a pile more hardware turn up so hopefully can run a couple of devices side by side from next week to see how the bug fixes are going. How much do you estimate it to cost to produce each device? How long do you estimate it to take to assemble/test each device? How about putting together a package with everything a merchant would need to get started (this device, instructions, “Featheroin accepted here”-logo, etc etc) and then go out and promote it to nearby merchants. Maybe we can crowdfund the first 100 devices or so to lend/give out to merchants willing to give it a try? I need to do the maths to find a total cost, also need to weigh the casing so I can work out how much plastic goes into it from the printer. Assembly takes about 2 hours start to finish once all the bits are gathered together, as for testing I’ll work out a test script for each device once I have got the bugs out, but I should think something like a couple of transaction tests, an over night soak test of the hardware, complete charge/discharge of the battery etc should do it. I like the sound of the idea for a complete package for the merchant, we have a couple of tame merchants in Oxford (pub, sandwich shop) that I intended to give these devices too, and then work from there once I had a bit of feed back on them.